All the best, and we look forward to next year’s adventure! Slainte! 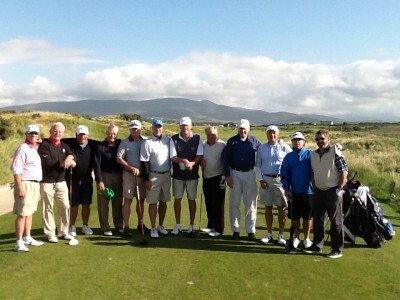 Hi Eileen – It was a fantastic trip and it was great to see you at Tralee! I brought the course to its knees on Tuesday with an 84, but it took it’s revenge on Friday, throwing me a 94! That’s golf and life. Btw, the young lady harpist, Lorraine, was excellent. I think we made her year – she got a lot of tips.